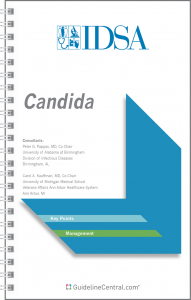 The Asymptomatic Bacteriuria GUIDELINES Pocket Guide is based on the latest guidelines of the Infectious Diseases Society of America and was developed with their collaboration. This practical quick-reference tool contains graded recommendations for management of asymptomatic bacteriuria in multiple settings. The definition of ASB in patients without indwelling catheters is ≥105 cfu/mL (≥108 cfu/L) in a voided urine specimen without signs or symptoms attributable to UTI. For women, two consecutive specimens should be obtained, preferably within 2 weeks, to confirm the persistence of bacteriuria. From 10–60% of women, varying with the population, do not have persistent bacteriuria on repeat screening after an initial positive specimen. For men, a single urine specimen meeting these quantitative criteria is sufficient for diagnosis. Observational and intervention studies evaluating long-term screening and treatment in school children and healthy women suggest that ASB is benign in children and in women who were not pregnant. In addition, efforts to maintain sterile urine are often futile. Screening for and treatment of ASB is only recommended for pregnant women and prior to endourologic procedures. Studies in other populations suggest that antimicrobial treatment does not confer any benefits, but does increase the risk of adverse outcomes including antimicrobial resistance and Clostridiodes difficile infection. In some cases the risk of UTI shortly following therapy may be increased. In infants and children, the IDSA recommends against screening for or treating ASB (S-L). Remarks: There is low-quality evidence that there is no benefit and high-quality evidence of harm. In healthy pre-menopausal, non-pregnant women or healthy post-menopausal women, the IDSA recommends against screening for or treating ASB (S-M). In pregnant women, the IDSA recommends screening for and treating ASB (S-M). Remarks: A recent study in the Netherlands suggested that non-treatment of ASB may be an acceptable option for selected low-risk women. However, the committee felt that further evaluation in other populations was necessary to confirm the generalizability of this observation. We suggest a urine culture collected at one of the initial visits early in pregnancy. There is insufficient evidence to inform a recommendation for repeat screening during the pregnancy for a woman with an initial negative screening culture or following treatment of an initial episode of ASB. In pregnant women with ASB, the IDSA suggests 4–7 days of antimicrobial treatment rather than a shorter duration (W-L). Remarks: The optimal duration of therapy will vary depending on the antimicrobial given; the shortest effective course should be used. In older, community-dwelling persons who are functionally impaired, the IDSA recommends against screening for or treating ASB (S-L). In older persons resident in long-term care facilities, the IDSA recommends against screening for or treating ASB (S-M). Remark: There is moderate-quality evidence that there is no benefit, and high-quality evidence of harm. In older patients with functional or cognitive impairment and with bacteriuria and delirium (acute mental status change, confusion) and without local genitourinary symptoms or other systemic signs of infection (for example fever or hemodynamic instability), the IDSA recommends assessment for other causes and careful observation rather than antimicrobial treatment of bacteriuria (S-VL). 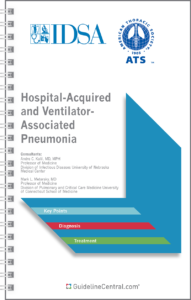 In older patients with functional and/or cognitive impairment with bacteriuria and without local genitourinary symptoms or other systemic signs of infection (fever, hemodynamic instability) who experience a fall, the IDSA recommends assessment for other causes and careful observation rather than antimicrobial treatment of bacteriuria (S-VL). Values and preferences: This recommendation places a high value on avoiding adverse outcomes of antimicrobial therapy such as C. difficile infection or increased antimicrobial resistance, in the absence of evidence that such treatment is beneficial for this vulnerable population. Remarks: In the bacteriuric patient with fever and other systemic signs potentially consistent with a severe infection (sepsis), and without a localizing source, broad spectrum antimicrobial therapy directed against urinary and non-urinary sources should be initiated. In patients with diabetes, the IDSA recommends against screening for or treating ASB (S-M). Remarks: The recommendation for non-treatment of men is inferred from observations in studies that have primarily enrolled women. In renal transplant recipients who have had renal transplant surgery more than one month prior, the IDSA recommends against screening for or treating ASB (S-H). Remarks: There is insufficient evidence to inform a recommendation for or against screening or treatment of ASB within the first month following renal transplantation. In patients with non-renal solid organ transplants, the IDSA recommends against screening for or treating ASB (S-M). Values and Preferences: This recommendation places a high value on avoidance of antimicrobial use so as to limit the acquisition of antimicrobial resistant organisms or C. difficile infection in solid organ transplant patients who are at increased risk for these adverse outcomes. Remarks: In non-renal solid organ transplant recipients, symptomatic UTI is uncommon, and adverse consequences of symptomatic UTI are extremely rare. The risk of complications from ASB is, therefore, probably negligible. In patients with high-risk neutropenia (<100 cells/mm3, ≥7 days duration following chemotherapy), the IDSA makes no recommendation for or against screening for or treatment of ASB (knowledge gap). Remarks: For patients with high-risk neutropenia (<100 cells/mm3 ≥7 days following cytotoxic chemotherapy) managed with prophylactic antimicrobial therapy and prompt initiation of antimicrobial therapy when febrile illness occurs, it is unclear how frequently ASB occurs and how often it progresses to symptomatic infection. Patients with low-risk neutropenia (>100 cells/mm3, ≤7 days, clinically stable) have only a very small risk of infection, and there is no evidence to suggest that, in this population, ASB has greater risk than for non-neutropenic populations. In patients with spinal cord injury (SCI), the IDSA recommends against screening for or treating ASB (S-L). Remarks: Clinical signs and symptoms of UTI experienced by patients with SCI may differ from the classic genitourinary symptoms experienced by patients with normal sensation. The atypical presentation of UTI in these patients should be considered in making decisions with respect to treatment or nontreatment of bacteriuria. In patients with a short-term indwelling urethral catheter (<30 days), the IDSA recommends against screening for or treating ASB (S-L). Remarks: Considerations are likely to be similar for patients with indwelling suprapubic catheters, and it is reasonable to manage these patients similar to patients with indwelling urethral catheters . In patients with indwelling catheters, the IDSA makes no recommendation for or against screening for and treating ASB at the time of catheter removal (knowledge gap). Remarks: Antimicrobial prophylaxis given at the time of catheter removal may confer a benefit for prevention of symptomatic UTI for some patients. The evidence to support this observation is largely from studies enrolling surgical patients who receive prophylactic antimicrobials at the time of short-term catheter removal, generally without screening to determine if ASB is present. It is unclear whether or not the benefit is greater in patients with ASB. In patients with long-term indwelling catheters, the IDSA recommends against screening for or treating ASB (S-L). In patients undergoing elective non-urologic surgery the IDSA recommends against screening for or treating ASB (S-L). In patients who will undergo endoscopic urologic procedures associated with mucosal trauma, the IDSA recommends screening for and treating ASB prior to surgery (S-M). Values and Preferences: This recommendation places a high value on the avoidance of the serious post-operative complication of sepsis, which is a substantial risk for patients undergoing invasive endo-urologic procedures in the presence of bacteriuria. Remarks: In individuals with bacteriuria, these are procedures in a heavily contaminated surgical field. High-quality evidence from other surgical procedures shows that peri-operative antimicrobial treatment or prophylaxis for contaminated or clean-contaminated procedures confers important benefits. In patients who will undergo endoscopic urologic procedures, the IDSA suggests a urine culture be obtained prior to the procedure, and targeted antimicrobial therapy prescribed, rather than empiric therapy (W-VL). In patients with ASB who will undergo a urologic procedure, the IDSA suggests a short course (one or two doses) rather than more prolonged antimicrobial therapy (W-L). Remarks: Antimicrobial therapy should be initiated 30–60 minutes before the procedure. In patients planning to undergo surgery for an artificial urine sphincter (AUS) or penile prosthesis implantation, the IDSA suggests NOT screening for or treating ASB (W-VL). Remarks: All patients should receive standard peri-operative antimicrobial prophylaxis prior to device implantation. In patients living with implanted urologic devices, the IDSA suggests NOT screening for or treating ASB (W-VL).